Popularly known as KK or Kay Kay, Krishnakumar Kunnath was brought up in New Delhi. His early years began in Mount St. Mary’s School, Delhi Cantt., and he then moved on to graduate from Kirori Mal College, Delhi University. After this, he moved on to Mumbai to start his career as a singer. In his formative years, he started as ad jingle singer when he presented his demo tapes to Louis Banks, Ranjit Barot and Leslie Lewis in 1994, just to get a break. Soon, he got a break and sang a jingle for Santogen Suitings from UTV. Within a short duration of four years, he sang over 3500 jingles in eleven Indian languages. He credits Leslie Lewis for being his mentor in the world of advertising jingles. KK soon became a playback singer for A. R. Rahman's hit songs like College Style (Tamil version with Hariharan), and Hello Dr (Hindi version) in the 1996 Tamil movie Kadhal Desam. By 1997, he sang Strawberry Kannae for another Tamil musical film Minsara Kanavu. He also sang the Hindi version called Strawberry Aankhen with Kavita Paudwal. KK made his entry into Bollywood singing a small part of the song Chod Aaye Hum in the 1996 film Maachis. His big break came with the song Tadap Tadap Ke Is Dil in the 1999 movie Hum Dil De Chuke Sanam. In the same year, KK broadened his horizons through the release of his debut solo album Pal, with music by Leslie Lewis and lyrics by Mehboob; released by Sony Music. 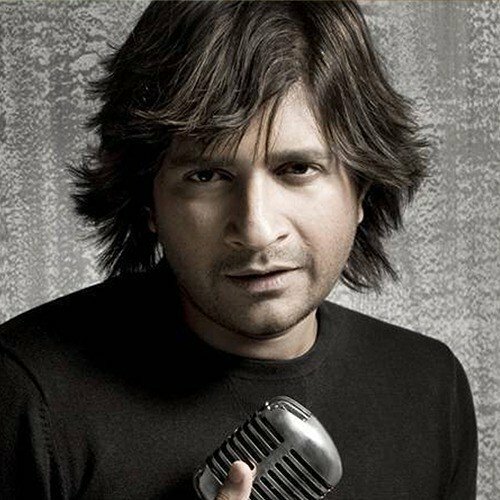 Songs like Aap Ki Dua and Pal became instant hits, adding a lot of recognition to KK as he also received his first Screen Award for Best Playback Singer. His next song was Jab Bhi Koi Haseena for the movie Hera Pheri (2000). By 2001, he had sung songs like Jhanak Jhanak Baaje for the movie Farz, Mil Jaye Khazana for Yeh Teraa Ghar Yeh Meraa Ghar and Aaja Gufaon Mein for Aks. The following year he sang Dola Re Dola and Maar Daala for the movie Devdas and Bardaasht for the film Humraaz. KK’s hit numbers continued with Tu Aashiqui Hai for the film Jhankaar Beats (2003), Gori Gori for Main Hoon Na (2004), Tu Hi Meri Shab Hai for Gangster (2006), Ajab Si for Om Shanti Om (2007), and Khuda Jane for Bachna Ae Haseeno (2009). Khuda Jane also won him a Screen Award. In the year 2008, he released his second Album entitled Humsafar wherein the song Raina Bhai Kaari was a mix of Bengali Baul with rock and had a tinge of S D Burman. KK's 13-year-old son, Nakul, also sang a song Masti with him in the album. The year 2010 saw him sing songs like Zindagi Do Pal Ki and Dil Kyun Yeh Mera for the movie Kites. Soon, he sang other popular numbers like Mujhko Pehchaan Lo for Don 2 (2011), Party Nights in Jannat 2(2012), Laapata in Ek Tha Tiger (2012) and Party On My Mind in Race 2 (2013). In 2014, his songs include Indiawaale from Happy New Year, Meri Maa for the film Yaariyan and his most famous hit song was Tune Maari Entriyaan for the film Gunday. Until mid 2014, he had already sung more than 500 Hindi songs and over 200 songs in Telugu, Tamil Kannada, Malayalam, and Bengali. Screen Awards • Best Playback Singer — Male (Non-Film Music) for "Pal" (Pal) - 1999 • Best Playback Singer — Male "Khuda Jaane" (Bachna Ae Haseeno)- 2009 • He also won Eenam-Swaralaya Singer of the Year Award 2012. Ever since his entry into Bollywood he has worked with eminent composers like Himesh Reshammiya, Anu Malik, Anand-Milind, Vishal-Shekhar, M. M. Keeravani, Vidyasagar, Mani Sharma, A. R. Rahman, Yuvan Shankar, Rajesh Roshan, Shankar Ehsaan Loy, Pritam Chakraborty, Anand- Milind and Ilyaraja among others.